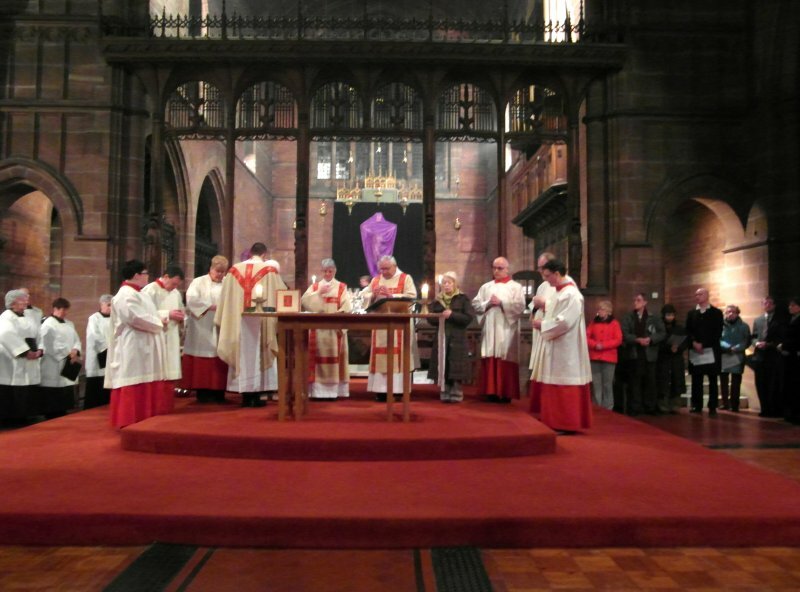 commemorates the Last Supper and the institution of Holy Communion. 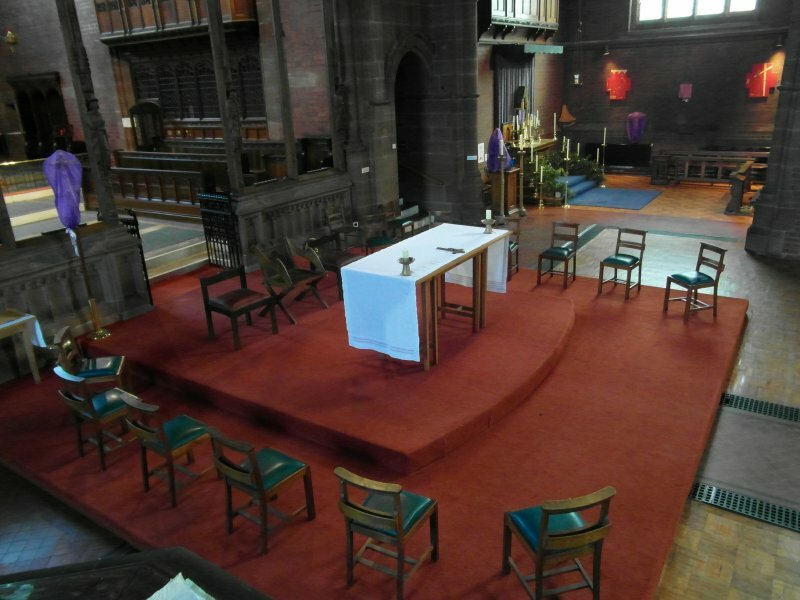 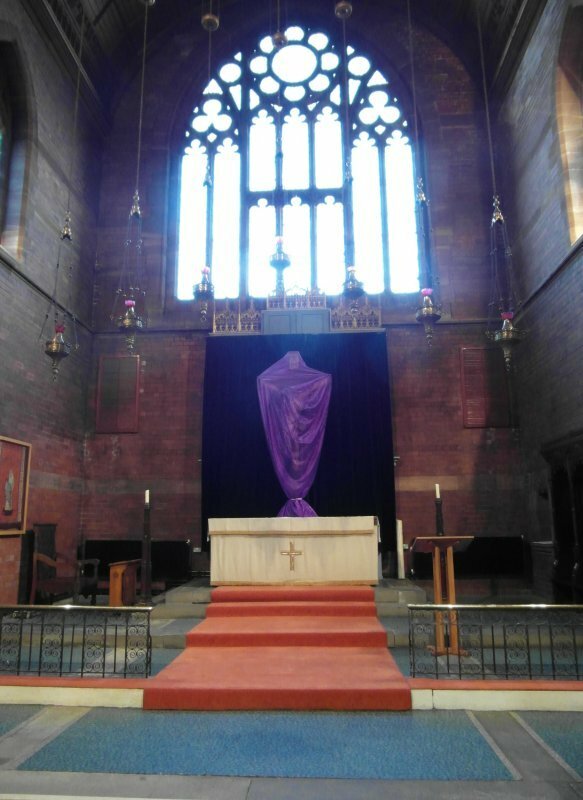 the Great Crucifix veiled above the High Altar and the Nave Altar flanked by twelve chairs in readiness for the symbolic washing of the feet. 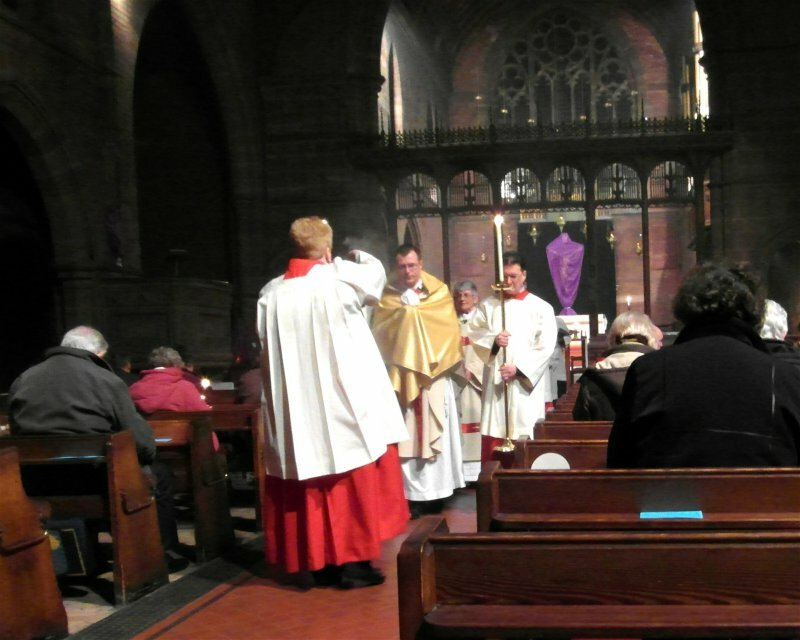 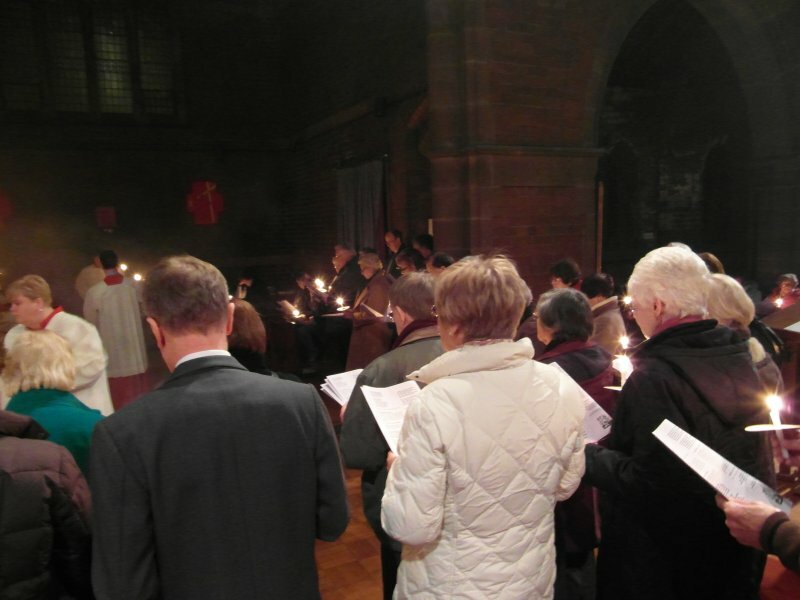 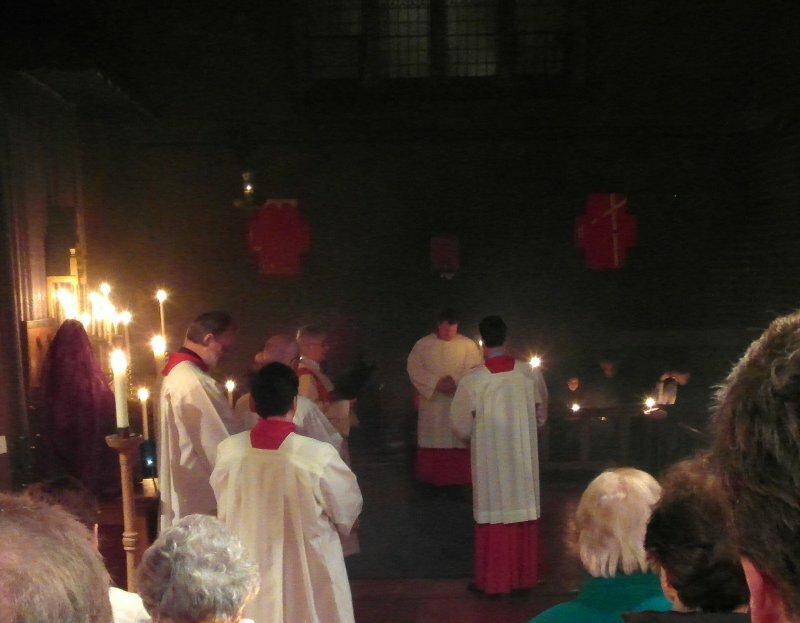 During the evening's solemn service, holy oils are blessed and the disciples' feet are washed. 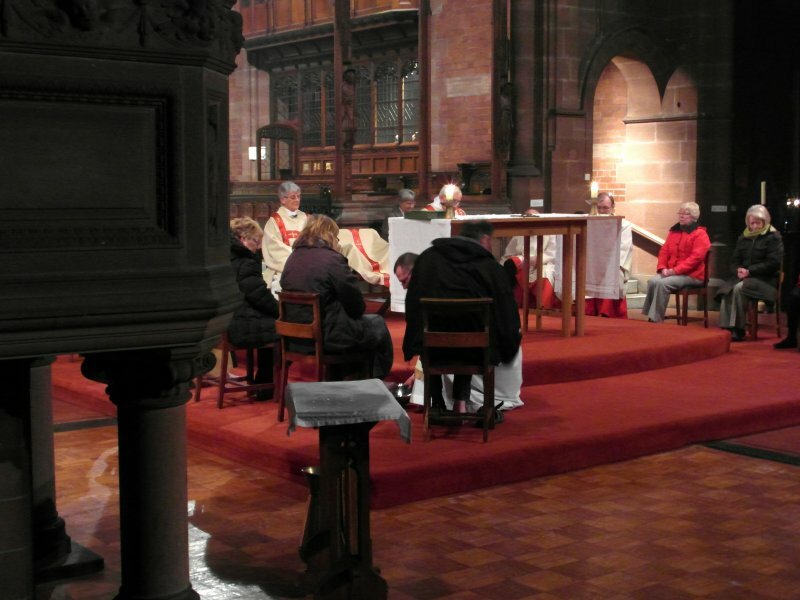 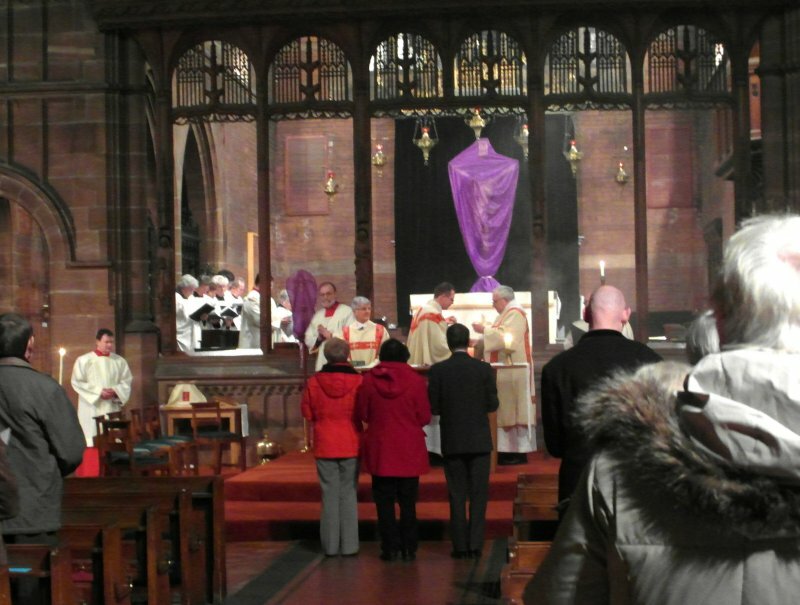 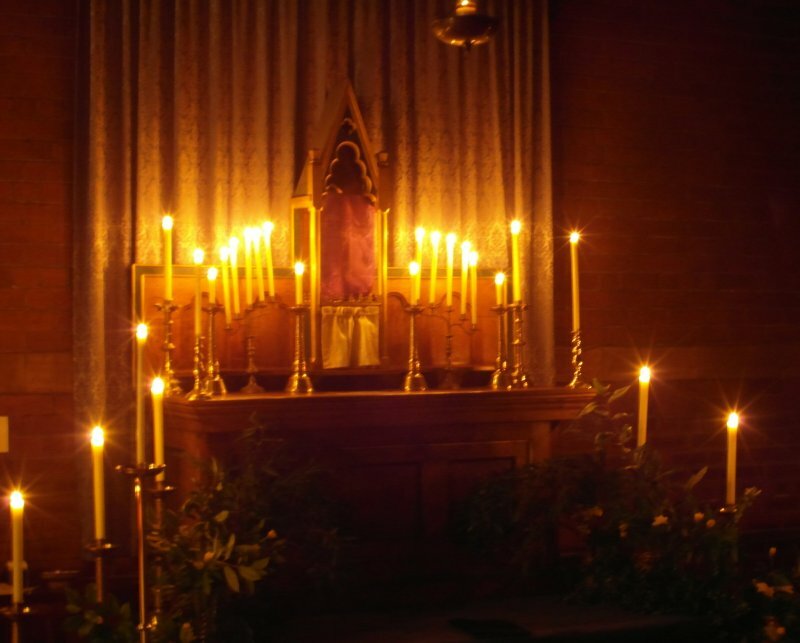 where we gather for the final actions of this great liturgy at the Altar of Repose. 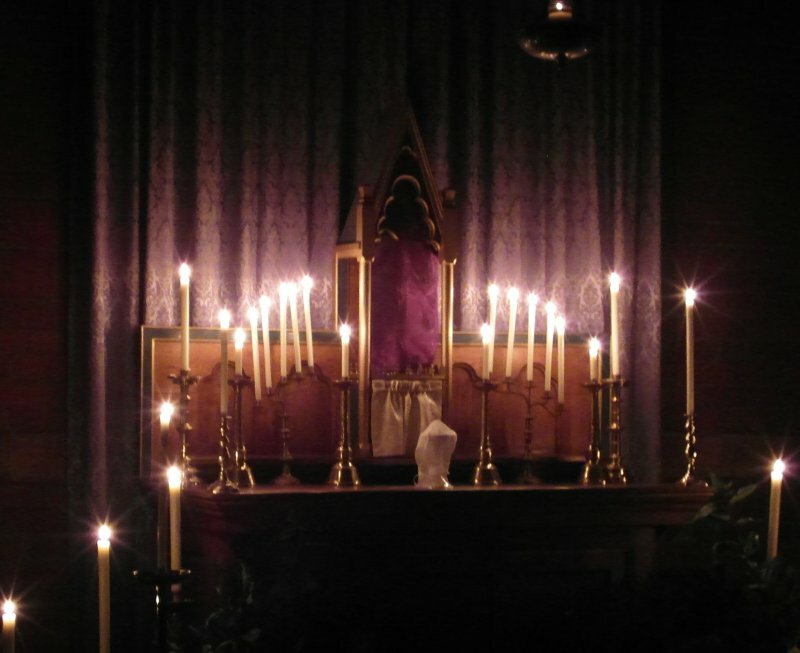 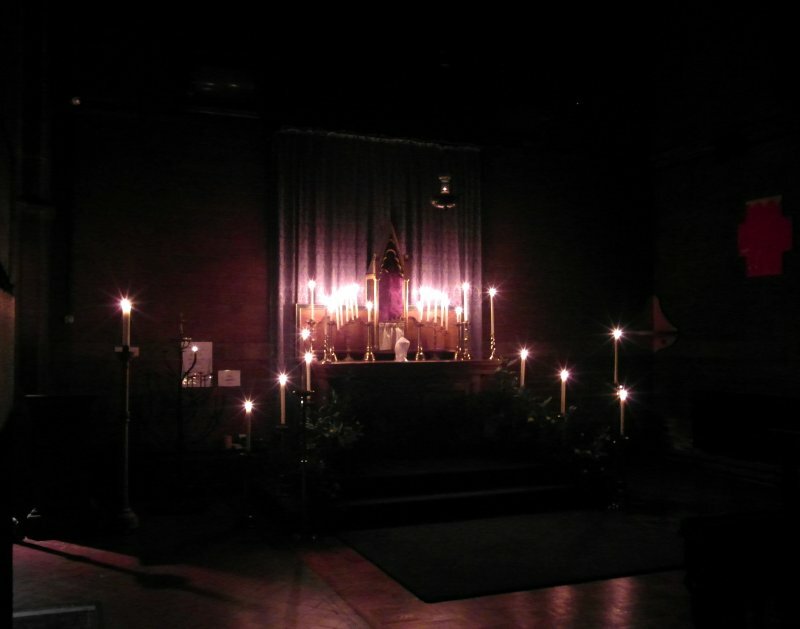 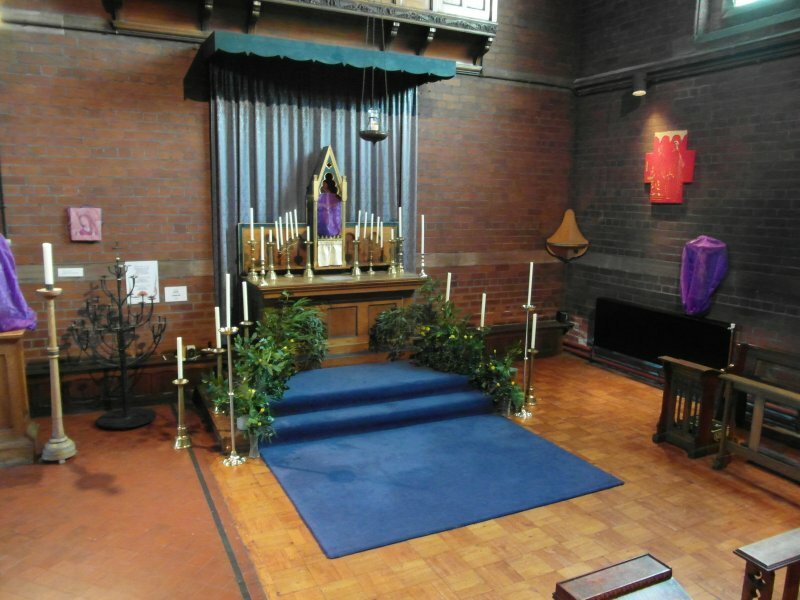 only the candles in the chapel accompany the watch, which will continue until midnight and the beginning of Good Friday.